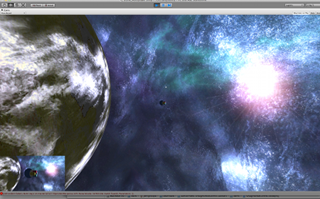 After evaluating 3d engines for iOS development I’ve decided we’re going to go with Unity3D. I would prefer a native Objective-C engine but the ability to deliver for multiple platforms is very attractive (Unity can deploy to Android, iOS, Mac, Linux, XBox 360, and the Wii). We play tested the game as turn based and real time multi-player – I was initially planning on a turn based approach using Apple’s Game Center for iOS but the game plays much better in real time. We evaluated several multi-player network solutions and are going to go with Photon Cloud – very well integrated with Unity, a great price, and should be able to scale.